Russian President Vladimir Putin says Russia is ready to give back Ukrainian military equipment left in Crimea but it is in poor condition, according to an UNIAN correspondent in Russia. "Using this opportunity, I'd like to say we are ready to continue this process: we are ready to return Ukrainian military ships that are still in Crimea, we are ready to hand over aviation equipment and armored vehicles," Putin said at a meeting with editors-in-chief from Russian printed media and news agencies in Moscow on Thursday, January 11. Read alsoMilitary expert says Putin not to withdraw from Crimea any time soon"However, it [the military equipment] is such a wreck. But it's none of our business. This is the condition it actually was in. And naturally, nobody has ever serviced it all these years," Putin added. According to him, these are dozens of ships and combat aircraft. "As for the ships, I think it would be better if Ukrainian servicemen come and take them away. We are ready to help them bring [the vessels] to Odesa," he said. 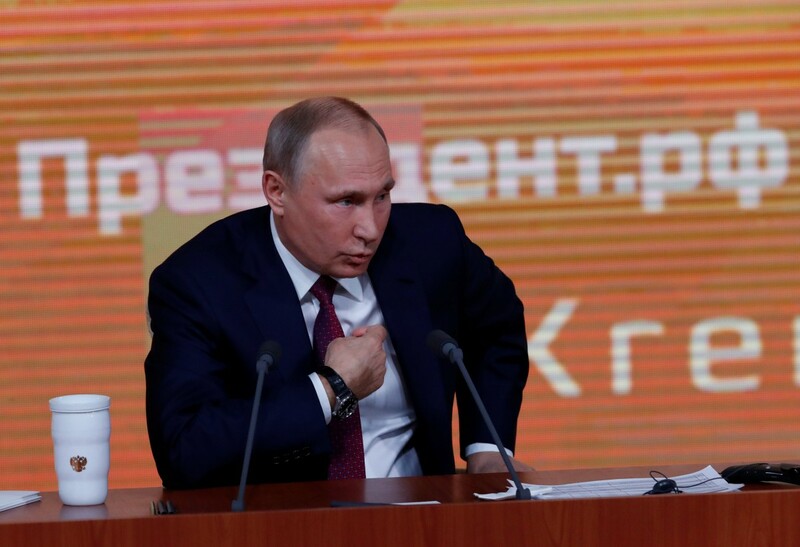 Putin mentioned there was a significant stock of Ukrainian ammunition, but, according to Russian military experts, it is not subject to transportation, it can only be scrapped on the spot. "We are ready to invite the Ukrainian military to take part in the disposal of these munitions," Putin added. As UNIAN reported, after the annexation of Crimea in March 2014, Russia began to transfer captured equipment to Ukraine, but the transfer was suspended after Russia had invaded eastern Ukraine.